Pioneers in the industry, we offer ash bricks making machine, chirag high grade fly ash bricks machine, chirag multi-speed ash bricks machine, chirag high quality ash brick making machine, chirag new generation bricks manufacturing machine and chirag unique automatic brick machine from India. Ash Bricks Making Machine We provide an exclusive range of Ash Bricks Making Machine to our clients, which are designed using latest technology. Our range of these machines is used in several industries and is available in various specifications. All the products are designed & developed under the supervision of experts. Ash Bricks Making Machine These Brick Making Machines are renowned for salient attributes like high performance, easy fittings, and high durability. Clients can avail our range at competitive prices. Super-strong steel structure, made of extensive imported original parts, ensuring more stability and reliability for the main machine body. The whole process uses a PLC aptitude control and dialogue system of human-machine interface, easy to analyze the chance signal, ensure the best operation effect. and braking, with synthetic output compounded with double vibration sources, thus greatly increase product compactness and mold-box service life. The cloth system adopts semi-closed screen reticular rotational feeding unit to feed materials forcedly, with evenness and even speed, ensuring product intensity. Fitted with special hydraulic loading unit, readily realize mass and automatic production, saving a great deal of human power, maintenance field, and circulating fund investment. We provide an exclusive range of Chirag High Grade Fly Ash Bricks Machine to our clients, which are designed using latest technology. Our range of these machines is used in several industries and is available in various specifications. All the products are designed & developed under the supervision of experts.Chirag High Grade Fly Ash Bricks Machine These Brick Making Machines are renowned for salient attributes like high performance, easy fittings, and high durability. Clients can avail our range at competitive prices. We provide an exclusive range of Chirag Multi-Speed Ash Bricks Machine to our clients, which are designed using latest technology. Our range of these machines is used in several industries and is available in various specifications. All the products are designed & developed under the supervision of experts. 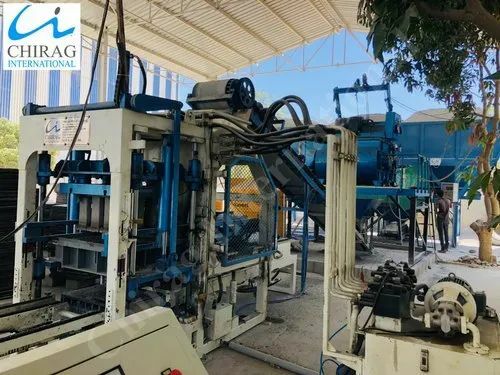 Chirag Multi-Speed Ash Bricks Machine These Brick Making Machines are renowned for salient attributes like high performance, easy fittings, and high durability. Clients can avail our range at competitive prices. We offer an exclusive range of Chirag High Quality Ash Brick Making Machine to our clients, that are especially designed using best grade raw materials and advanced technology. These are equipped with all the necessary accessories making them easy to operate. 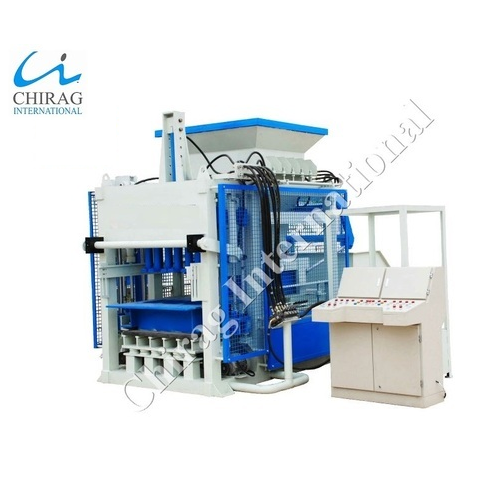 Chirag High Quality Ash Brick Making Machine These are highly demanded for its features like higher efficiency, durable finish standards, and reliable service life. We offer our range at cost efficient prices. Reliability. The machine frame is made of super- strength steel and by special welding technology, the imported elements are applied widely, so that the stability and reliability of the machine in long term running are insured. The whole process uses a PLC aptitude control and dialogue system of human-machine interface, easy to analyze the chance signal, fault diagnosis and parameters setting, ensure the best operation effect of the machine. Unique design. The special loading and supply unit, the multi-line whipping forks are fixed at inside of material feed box. The whipping forks works and feed the material to mold box forcedly during the material feed box moves to up of mold box, the feed will smoothly and equalization, than for the product, the intensity is insured and the weight is equal. Design with super strong vibrating activated force, The computer controls the pressure and flowing rate of hydraulic system; vertical synchro vibration; frequency conversion; brake, final the product reaches the high density and high strength within short time. Multi use; strong performance; the many kind of products with difference form and size can be made when use the difference mold , such as wall block, honeycomb type block, road block and slope block. 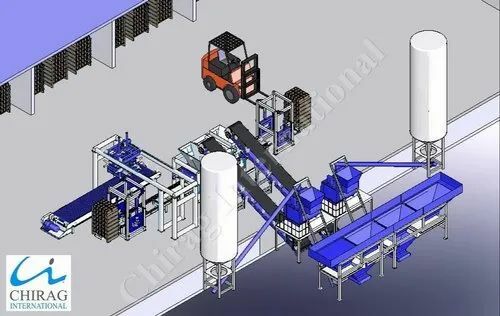 This Chirag New Generation Bricks Manufacturing Machine automatically controls in block forming, cuber, pallet sending, and pallet separating etc. We export a wide collection of these control system machines that are known and highly demanded for their superior quality, durability and optimum performance. Chirag New Generation Bricks Manufacturing Machine Our offer ranges of these products are made from quality raw material. We also meet customized requirement for our customers benefit. The workers just need to control the whole system by monitor, it can achieve analyzing the signal easily, trouble-diagnose, and parameter-setting, make sure the best working efficiency, control the whole system easily. With the help of our experienced professionals, we are able to offer a wide range of Chirag Unique Automatic Brick Machine . To manufacture this range, our professionals make use of optimum-grade raw material in compliance with the international quality parameters. All the products are rigorously examined by our quality controllers team to ensure the flawlessness before being dispatched in the market. Chirag Unique Automatic Brick Machine Our clients can avail thus range in various sizes, designs and custom-built models, to meet the variegated requirements of our clients. Compact design Chirag Advanced Technology Multifunction Brick Machine . Low investment brings you cost saving. Highly productive moulding device, which consists 360 rotating and compulsory feeding of raw materials, platform vibrating and compression shaping, greatly improves the cycle time. The finished blocks are of good shape and high quality. 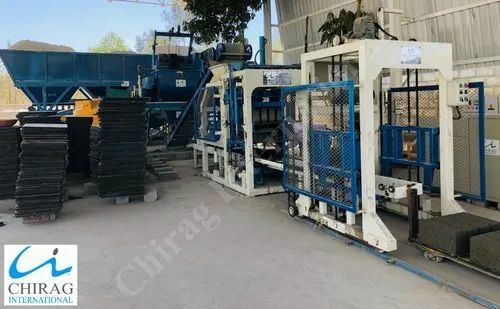 Chirag Advanced Technology Multifunction Brick Machine Our machines, with harmonic cooperation between mechanical, electrical and hydraulic machines functions, guarantees a reliable and high production output of concrete products. The moulds are changeable, and it is able to produce various kind of blocks,bricks,interlocks, pavers and kerbstones in different types, sizes, shapes, and colour layers. With face mix device, its able to produce pavers with colour layer. Chirag Brand New Fly Ash Brick Making Machine for our esteemed clients. These machines are designed and developed in compliance with the industry standards. 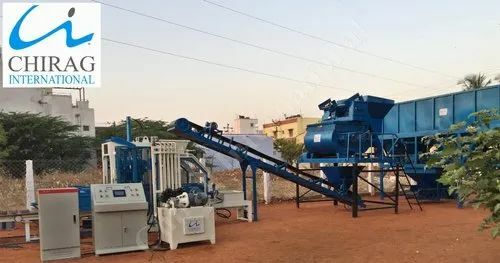 Chirag Brand New Fly Ash Brick Making Machine Provided in varied models & designs, Fly Ash Brick Machines are also offered to clients at economical prices. We provide an exclusive range of Chirag All In One Cement Brick Machine to our clients, which are designed using latest technology. Our range of these machines is used in several industries and is available in various specifications. All the products are designed & developed under the supervision of experts. Chirag All In One Cement Brick Machine These Brick Making Machines are renowned for salient attributes like high performance, easy fittings, and high durability. Clients can avail our range at competitive prices. We are leading manufacturer and exporter of Chirag Modern Concrete Brick Making Machine , Fully Automatic Multifunction Brick Machine, Multifunction Block Making Machine, Block Machine, Block Making Machine, Concrete Block Machine, Hollow Block Machine, Concrete Block Making Machine, Cement Block Machine. 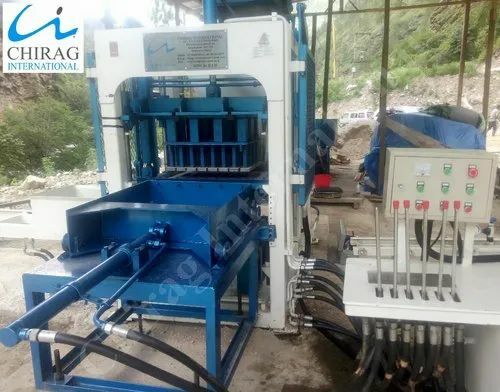 Chirag Modern Concrete Brick Making Machine This machine is Multifunctional, Could make All kinds of Blocks, Bricks and Pavers while change the Moulds. All in One Machine: Fly Ash Brick, Concrete Block, Interlocking Brick, Interlocking Block, Interlocking Paver etc. 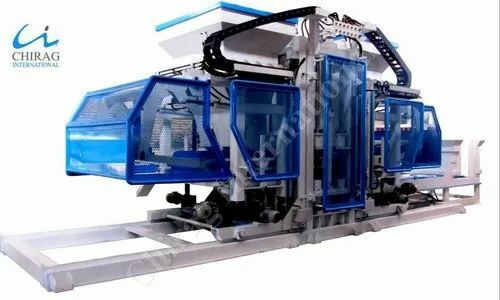 Looking for “Ash Bricks Machine”?